Jerry, I really need some extra cash right now and would like to know how to borrow from 401k. I have had some unexpected expenses hit my family all at once in the past few month (medical, maintenance, family travel, etc). I have exhausted all my emergency savings, which admittedly was not much to begin with. I have about $32,000 in my 401k plan at work, and I need to tap into those funds in order to pay for my current expenses. As much as I hate to tap into my retirement fund, I need to know all about taking a loan from 401k so I don’t make a dumb mistake. Thank you so much for your help! Darren, first of all I want to say this…you are not alone. A study recently highlighted by the New York Times said one out of four households dip into their 401k or 403b retirement accounts for non-retirement spending. The study added that 75% of people who took a pre-retirement full distribution from a retirement account used the cash for bills from general expenses they could not keep up with. Furthermore, the largest group of people taking withdrawals or loans against 401ks were ages 40 to 49, followed by ages 50 to 59. Now I will get to the answer to your question. First, you should ask yourself, “Should I borrow from my 401k?” If you have exhausted all other options, then the answer may be yes. If you have liquid savings, the smart thing to do is use that money before dipping into a 401k or 403b plan, due to the taxes and penalties usually charged for a premature withdrawal, or the interest charged on a loan. If you decide to borrow or take a withdrawal from your 401k plan, here are some guidelines on taking money out of 401k. To find out if you’re allowed to borrow from your 401(k) plan and under what circumstances, check with your plan’s administrator or read your summary plan description. Some employers allow 401(k) loans only in cases of financial hardship, but you may be able to borrow money to buy a car, to improve your home, or to use for other purposes. Generally, obtaining a 401(k) loan is easy–there’s little paperwork, and there’s no credit check. The fees are limited too–you may be charged a small processing fee, but that’s generally it. Typically, you have to repay money you’ve borrowed from your 401(k) within five years by making regular payments of principal and interest at least quarterly, often through payroll deduction. However, if you use the funds to purchase a primary residence, you may have a much longer period of time to repay the loan. Make sure you follow to the letter the repayment requirements for your loan. If you do not repay the loan as required, the money you borrowed will be considered a taxable distribution. If you are under age 59½, you will owe a 10 percent federal penalty tax, as well as regular income tax on the outstanding loan balance (other than the portion that represents any after-tax or Roth contributions you’ve made to the plan). •	If you do not repay your plan loan when required, it will generally be treated as a taxable distribution. • If you leave your employer’s service (whether voluntarily or not) and still have an outstanding balance on a plan loan, you are usually required to repay the loan in full within 60 days. Otherwise, the outstanding balance will be treated as a taxable distribution, and you will owe a 10 percent penalty tax in addition to regular income taxes if you are under age 59½. •	Loan interest is generally not tax deductible (unless the loan is secured by your principal residence). •	You will lose out on any tax-deferred interest that may have accrued on the borrowed funds had they remained in your 401(k). 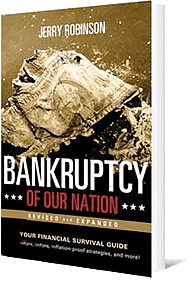 • Loan payments are made with after-tax dollars. Note: You may also be allowed to withdraw funds to pay income tax and/or penalties on the hardship withdrawal itself, if these are due. Your employer will generally require that you submit your request for a hardship withdrawal in writing. How much can you withdraw for hardship? Generally, you can withdraw no more than the total amount you have contributed to the plan, minus the amount of any previous hardship withdrawals you have made. In some cases, though, you may be able to withdraw the earnings on contributions you have made. Check with your plan administrator for more information on the rules that apply to withdrawals from your 401(k) plan. The option to take a hardship withdrawal can come in very handy if you legitimately need money and you have no other assets to draw on, and your plan does not allow loans (or if you cannot afford to make loan payments). •	Taking a hardship withdrawal will reduce the size of your retirement nest egg, and the funds you withdraw will no longer grow tax deferred. •	You may not be able to contribute to your 401(k) plan for six months following a hardship distribution. If your employer makes contributions to your 401(k) plan (for example, matching contributions) you may be able to withdraw those dollars once you become vested (that is, once you own your employer’s contributions). Check with your plan administrator for your plan’s withdrawal rules. If you are a qualified individual impacted by certain natural disasters, or if you are a reservist called to active duty after September 11, 2001, special rules may apply to you. Lastly, in Level 3 of our Five Levels of Financial Freedom, we advocate that everyone accumulate a total of six months’ gross income in liquid savings. If you make $60,000 per year, your goal would be $30,000 in liquid savings. In the event of the unexpected medical bill, car repair, or plumbing maintenance, the liquid savings prevents you from having to rely on the 401(k) loan for payment (or the credit card or payday loan). Furthermore, if you find a great investment opportunity, you will have the cash on hand to be able to act quickly. A great saver makes a better investor. 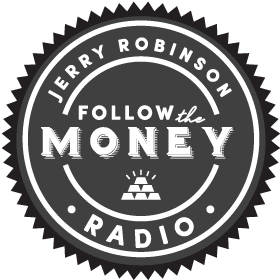 Have a financial question for Jerry Robinson?